March is 'National Noodle Month'! What better way to celebrate than with MWLC's NEW 'Zoodle, Egg, and Potato Bowl' Recipe? Enjoy! Preparation: Spray the bottom of a medium non-stick skillet with unflavored cooking spray, then place the diced sweet potato chunks into the skillet. Add 1-2 ounces of water into the skillet to help steam and soften the potatoes. On medium-high heat, cook the sweet potatoes stirring occasionally. 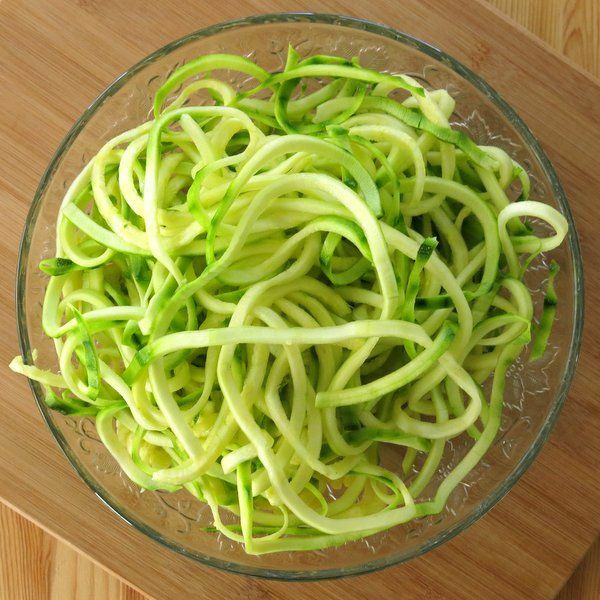 Take the spiralized zucchini and place it into a medium sized bowl. Next, mix the lemon juice and garlic cloves into the zucchini 'zoodles'. Place the lightly-browned, cooked potatoes over top of the zucchini in the bowl. Cook serving of eggs in the same skillet the potatoes were removed from, adding more unflavored cooking spray if needed. Cook eggs on low heat until eggs are over easy and place them on top of the zucchini and potatoes. Top everything with the minced green onions and black pepper, to taste. You can eat the breakfast bowl how it is layered or mix the eggs into the potatoes and zucchini, enjoy while warm.